The other week, before I got caught up with my sister’s wedding, I visited some interesting sites around the Golani Junction. 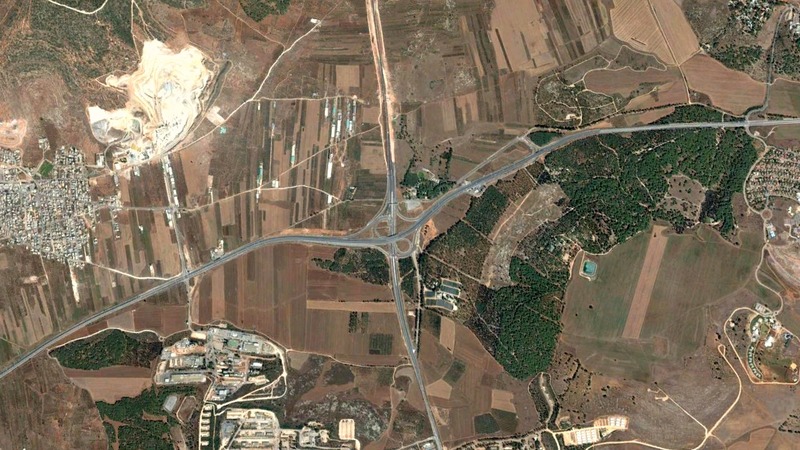 Located between Haifa and Tiberias, the Golani Junction was and still is an important crossroads connecting various regions of the Holy Land. The junction, which is really an interchange now, has been revamped in recent years with extensive roadwork to streamline the traffic flows, costing some ₪300 million. 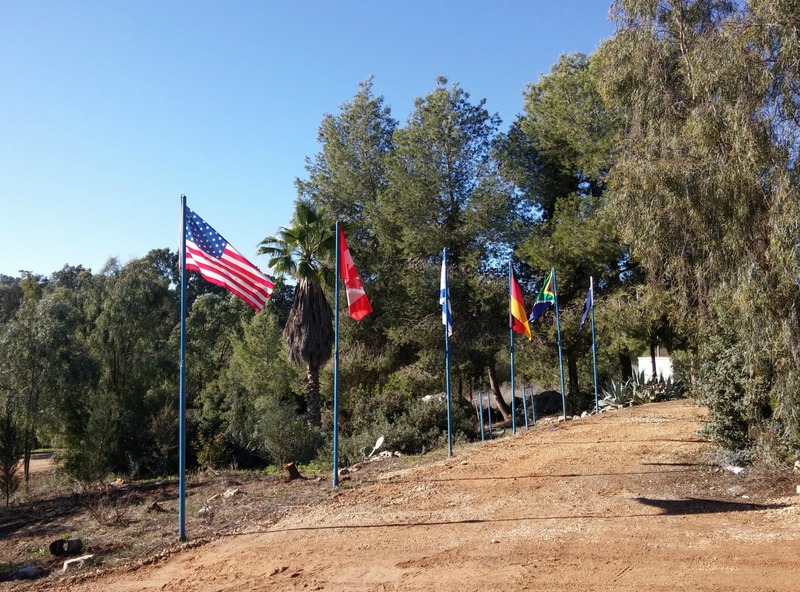 The first place I visited was the KKL-JNF nursery and neighbouring Lavi Forest where rehabilitation of Israel’s trees is done – in fact, there is a “plant-a-tree” park across Road 77 for visitors to take an active part in reforestation. 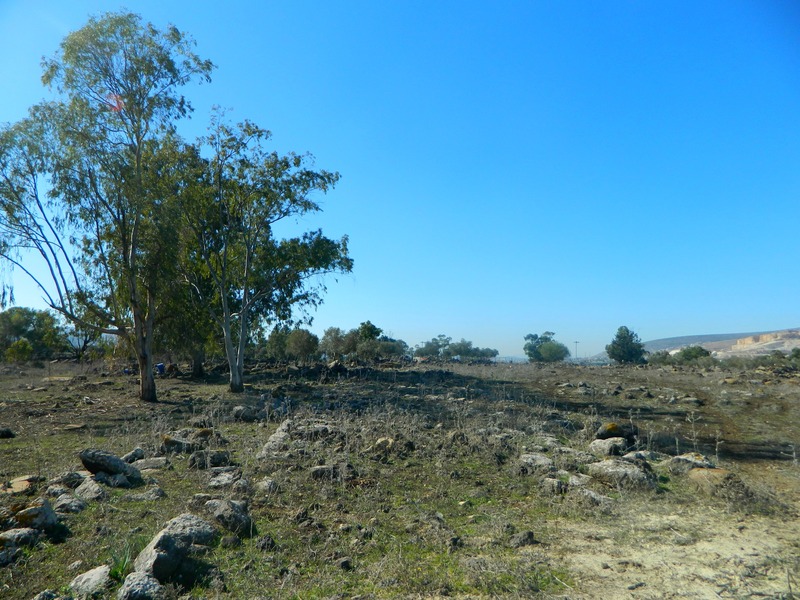 It was at one of these locations I had hoped to find an archaeological garden similar to the one at the Kabri KKL-JNF centre (see HERE) – but my search came up fruitless. 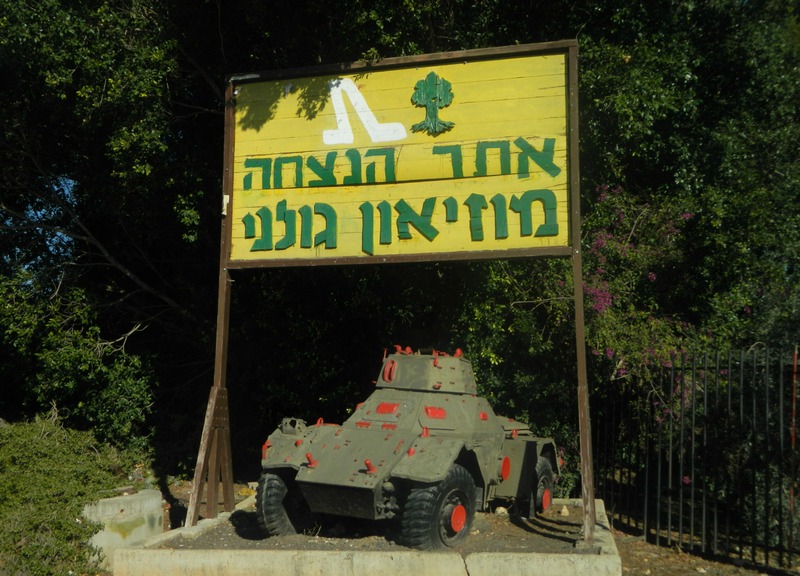 At the Golani Junction itself is a place I partially visited once before while still in the army, the Golani Museum. 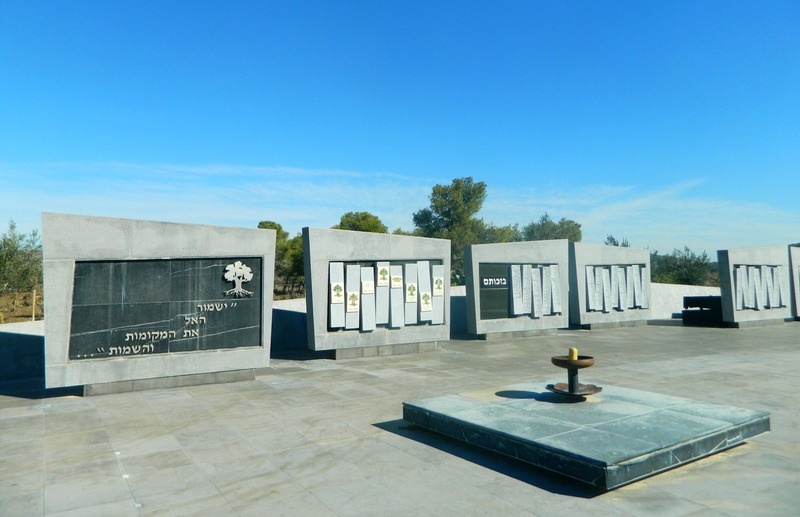 Both a museum and a memorial, this site commemorates and sustains the ongoing legacy of the IDF’s most beloved brigade, the Golani Brigade. Within, I walked the beautifully shaded trail learning about the battle that took place at the Golani Junction which gave it its name. With various memorials and recreated battle scenes abound, there was an atmosphere of both the valour and the struggles that accompany all things military. I peeked into the Lecture Hall before stopping at the panoramic depiction of a northern border scene with metal soldier silhouettes dispersed among the pine trees. When I neared the arched room, two Golani soldiers who serve as guides spotted me and took me on a small tour. It amused me at times when they tried explaining some things to me as if I was a tourist when, unbeknownst to them, I have seen/done/lived these things in my own army service – firsthand knowledge. 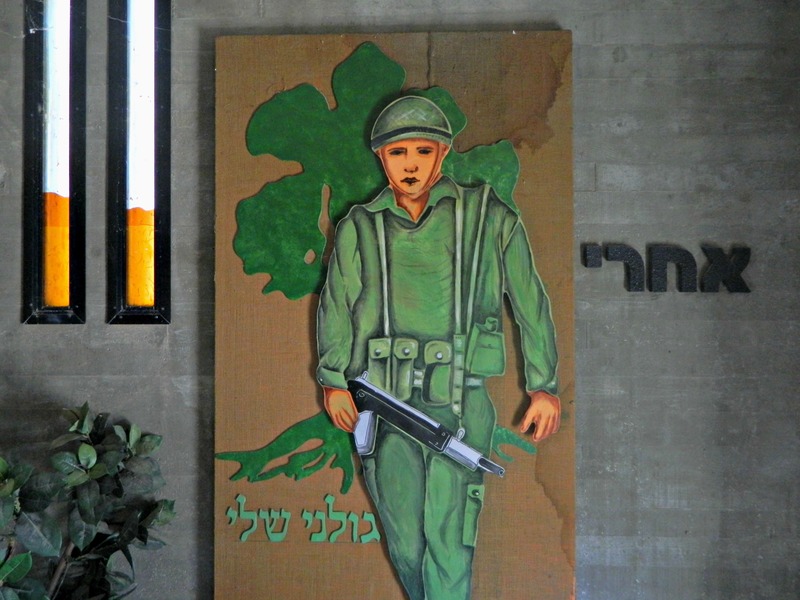 The soldier-guide reviewed the early history of the brigade, illustrating that the first Golani soldiers were farmers and thus the earthtone colours that identify the brigade helped solidify their deep connection to the land. The famous olive tree logo was drawn by one of the brigade’s early officers, denoting a deep-rooted longevity that Golani aims to emulate. Inside one of the strangely shaped concrete bunkers that serve as exhibits for the brigade’s rich history I watched a short video spanning the years. 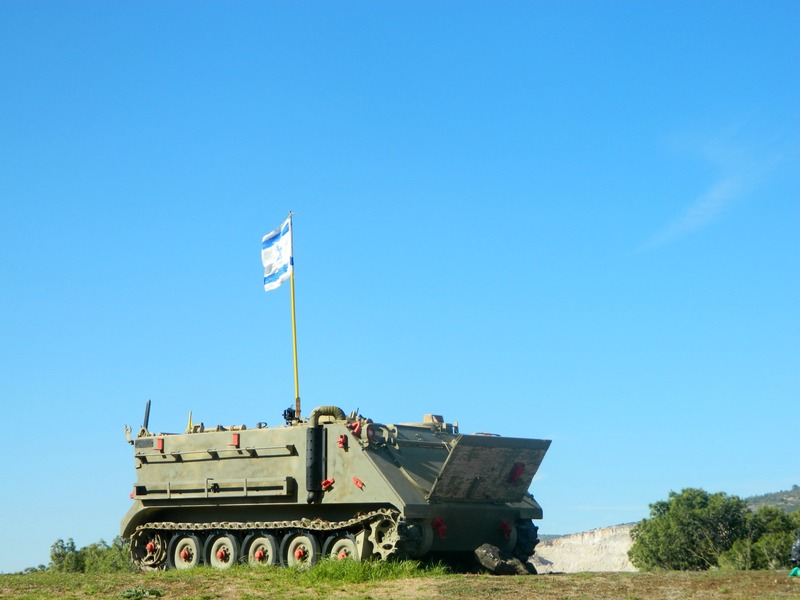 One of the previous Golani brigade commanders, Tamir Yadi, is actually mentioned in an old blog post of mine – Hevron. Looking through old pictures and gear from 1948 onward, I examined historic battle plans and then found the Memorial Room. A small room lined with bookcases; each filled with faux leather booklets labeled with the name and ID number of each fallen Golani soldier. I searched for some of the more recent ones and saw very nice commemorations with mini biographies and personal photos. Beyond that room, back outside, is the Memorial Wall with each of those same names etched in stone. I looked over the recent names and remembered the losses we incurred as a nation last year in Gaza. 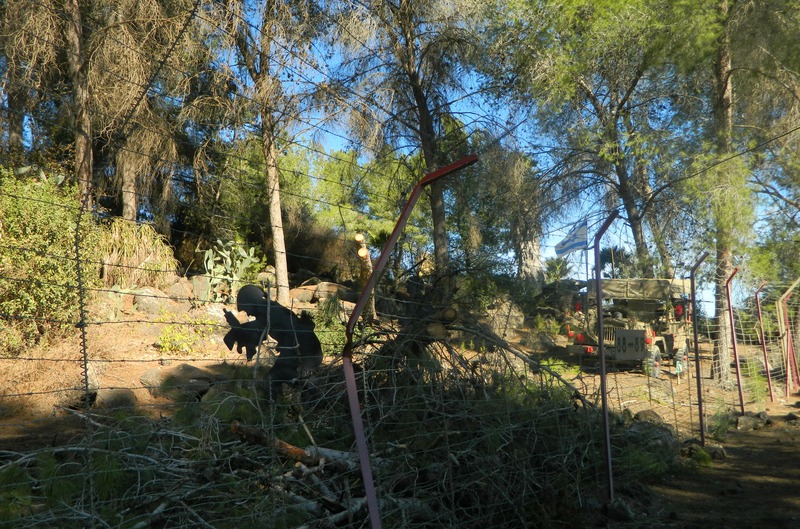 Continuing along, I walked past the displayed military vehicles including APCs and jeeps that are parked on a ridge among fruit-laden cacti. Leaving the Golani Museum I drove back towards Road 77 but stopped short and pulled onto a small dirt road where I parked among in a field of dead plants. I got out of the car and walked north, coincidentally the Gospel Trail, passing a dead cow on the way. Satisfied with my photo, I walked towards the trees – the sounds of startled grasshoppers popping into the air like popcorn filled the quiet, still air. Just beyond the first few trees I found what I was looking for – the meagre remains of an ancient Roman road. A small section of the vast road network that criss-crossed the Roman Empire, the remnants are much more distinguishable in person. 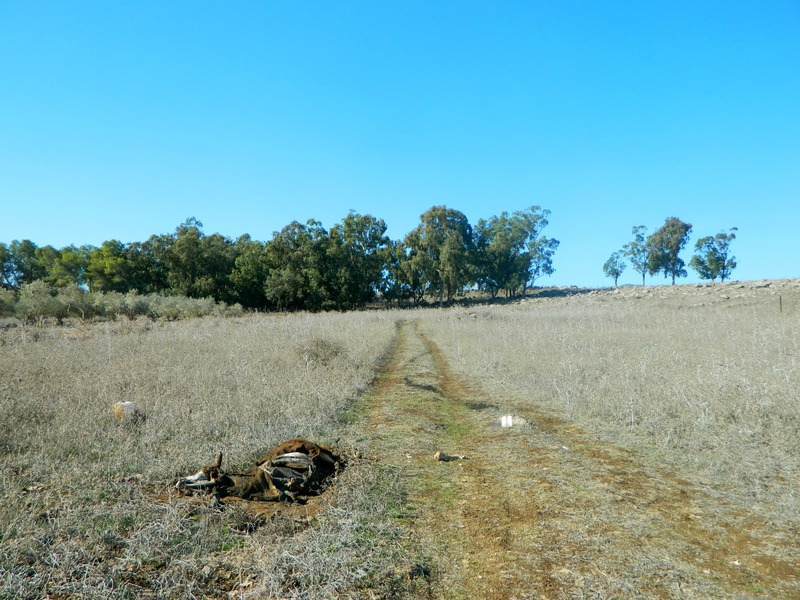 Leaving the old road and the Gospel Trail, I returned to the Golani Junction and drove north on Road 65. I passed Mount Nimra on my right and then pulled over, entering a construction site. My next stop was the Amudim ruins which I’ve been meaning to visit for ages. 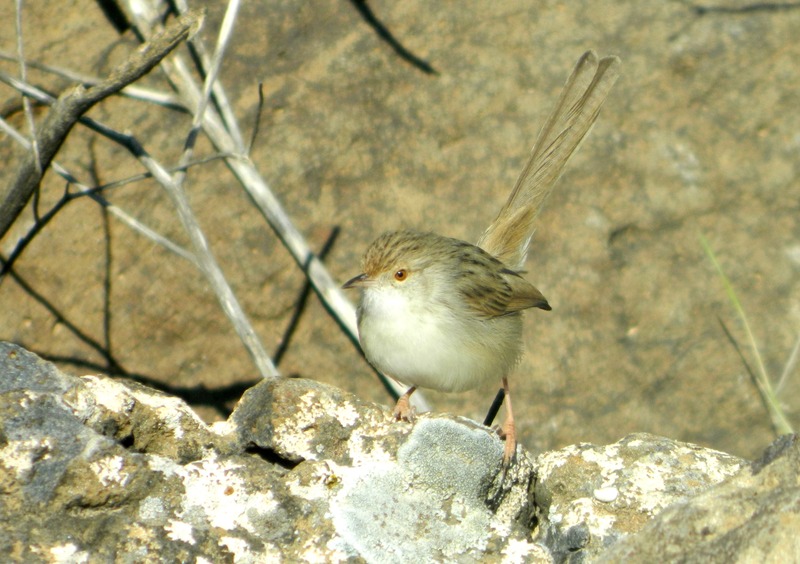 With an authoritative air I parked on the gravel and strode confidently towards the ruins, not waiting for the construction workers to stop me. 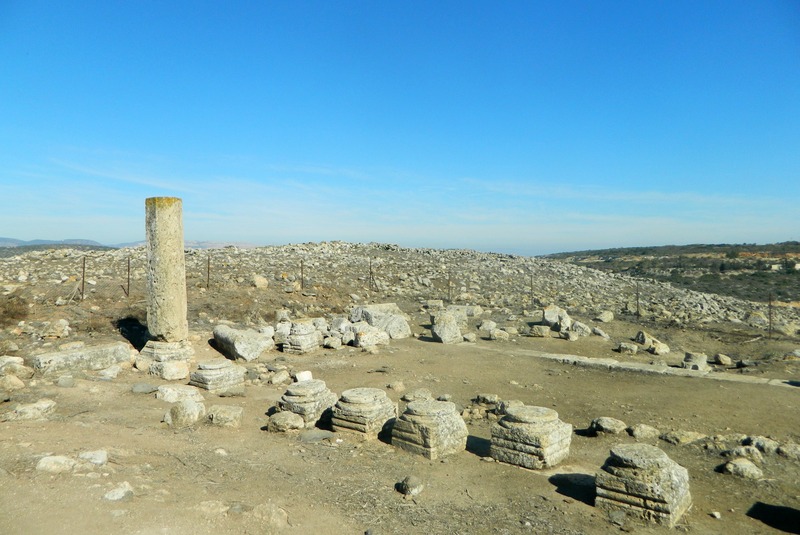 I entered the fenced-off archaeological site and beheld the Amudim ruins, remains of a 1,800 year old synagogue which serviced the nearby Jewish village. Today just one pillar stands tall with many broken pillars, ornate plinths and capitals strewn about in all directions. Even beyond the fenced-off area I caught sight of a fallen pillar laying on the ground amid a great mess of stone chunks. 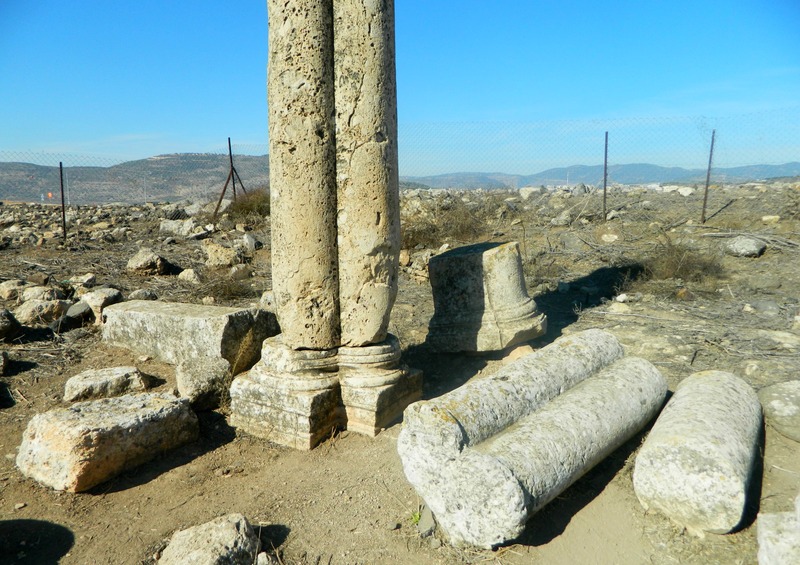 I like to imagine how these ancient synagogues might have looked back in their time and, in this case, I took particular interest in the shape of the standing column. Instead of being traditionally round, this pillar had a concave indention, like a rounded-bottomed heart – and I wonder why the craftsmen specifically carved that fanciful shape.